Table-topping Bexhill United Football Club is gearing up for successive home games against top four opposition. The Pirates will host third-placed Steyning Town this coming Saturday and fourth-placed Alfold next weekend in Southern Combination League Division One. Indeed the top four are covered by just two points. Bexhill are a point above third-placed Steyning having played an extra game and between them they’ve won 22 of their 27 league matches so far. “It’s first versus third and there will be nothing between the sides,” continued Light. “We score lots of goals, they don’t concede many goals - it’s perfectly poised to be a real humdinger of an afternoon. Bexhill have won their last six league games and kept clean sheets in their most recent three. They possess the division’s best goal difference and most prolific attack, and only Steyning have conceded less. “This is game number 15 out of 34 and although it does seem big, it’s not make or break,” Light went on. “Three points would be great, but if we get one or nothing, it’s not the end of the world - there’s a lot more football to be played. 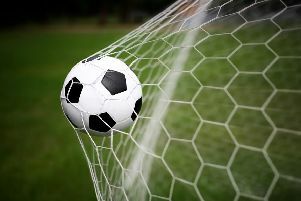 Steyning are still going in the Buildbase FA Vase having come through four rounds so far and knocked two Premier Division teams out of the Sussex RUR Charity Cup. Lewis McGuigan and Connor Robertson will be away, but Bexhill were hoping to bring in at least one player this week. Kick-off at The Polegrove is 3pm.